“The Australian Spirits Guide” by Luke McCarthy is a fantastic book showcasing 51 standout distilleries & we are proud to say Loch gets a mention! 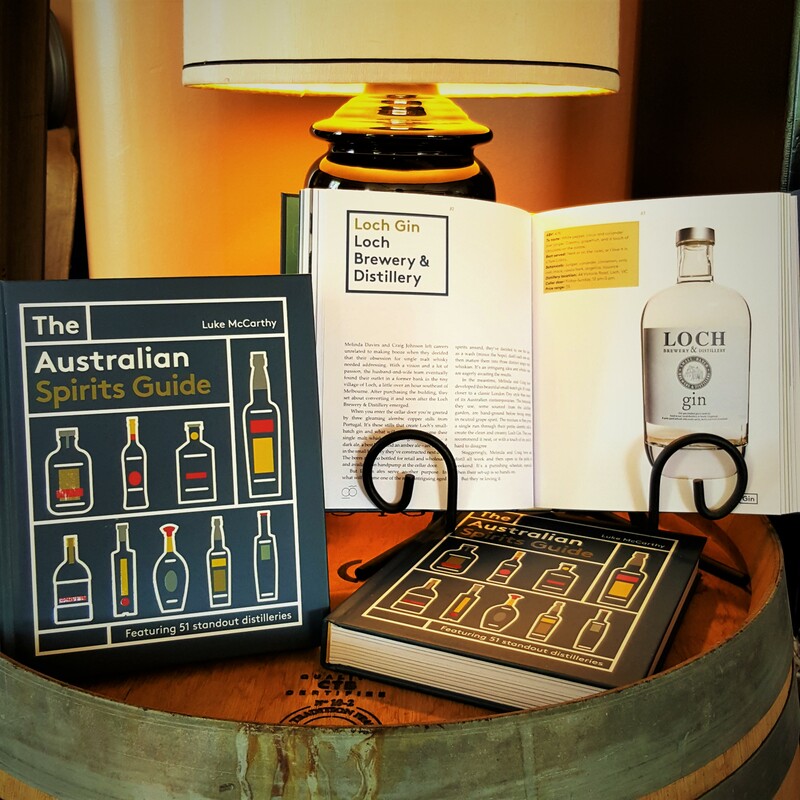 The book is a perfect companion for planning a distillery tour or just a fascinating insight into the past, present & future of Australian distilling & spirits. From clandestine convict distilleries to the world’s best whisky, The Australian Spirits Guide celebrates the storied past and present of Australia’s spirits industry. Join drinks writer and bartender Luke McCarthy as he explains how spirits are made, and unearths sixty of Australia’s best spirits, from whisky, gin and vodka, to rum, brandy, moonshine and other local specialties. For each spirit, discover the history and passion behind its creation, as well as expert tasting notes, serving suggestions and price guides that will steer you to the best bottle for your tastes and budget. You’ll also find cocktail recipes from the country’s best bartenders, as well as interviews with the trailblazing distillers of each spirit. Whether you’re a connoisseur with tastes more local than Lagavulin, or a beginner simply looking for a casual Friday night tipple, The Australian Spirits Guide is a valuable addition to any home bar.